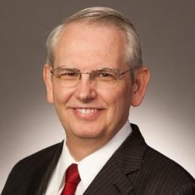 Ken Allen�s Packing His Bags! 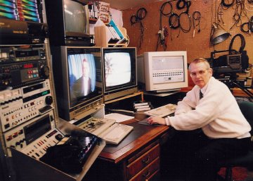 Ken Allen sits at his edit bay in 2000 � Vintage! Every year, all year long, video producer Ken Allen provides Midpen�s channels with a variety of community programming. During the Christmas season each year, Ken faithfully records the festive holiday concerts at the annual Cr�che exhibit held at the Palo Alto meetinghouse of The Church of Jesus Christ of Latter Day Saints (Mormons), of which Ken is a member. This year�s fare can be viewed and listened to on Ken�s playlist on Midpen�s youtube channel or right off Ken�s channel directly. This year�s line up includes performances by the Gunn Chamber Singers, the Mountain View High School Madrigals, the Valparaiso Singers and Palo Alto�s own world-renown organist Dr. James Welch. �I try to preserve memories through media. Community broadcasting is just a small part of what I do in the community. I have lived in Palo Alto for nearly 42 years. As a Latter-day Saint, I know personal and family history is important. I treasure the old 8mm movies my father made, dating to World War II in India, as well as all the movies of family memories. I got my first color video camera in 1984 when my youngest daughter began to walk. At the time consumer-accessible color recording technology was emerging with VHS tape. Today I have the capability to digitize and preserve virtually any media, from wire audio recordings to HD video. After I took the Leadership Palo Alto course in 1991 I discovered MPAC and took its mission statement seriously, to provide an outlet for the community to share locally produced programming. I caught the bug. I knew many talented people, choirs, musicians and lecturers whose performances and messages were worth sharing and many people who would like to see themselves on television. So I invested in the hobby�cameras, audio equipment and professional video editing gear. I have many stories about the hundreds of programs I made. I estimate I have submitted on the order of 1000 programs for local broadcast plus many recordings of personal interest that were never for broadcast�weddings, life stories, even memorial services. Cable Co-op couldn�t afford to record and broadcast regular high school football games, so in the fall of 1991, on Friday afternoons, I recorded games, on Saturdays I edited, and on Saturday nights I submitted a tape of Gunn games in which my foster son happened to play. Tim Farrell the Gunn announcer did the play by play. I believe that was the first time a whole season of games was broadcast. I did that for several years, even making highlight tapes used by student athletes in college scholarship applications. One of my mentees, Gunn alum Alforde Joaquin, has made a professional career out of local sports coverage. Ken�s �downhill� has meant nothing but �uphill� for Midpen�s programming department. Midpen wishes Ken and Sue Allen the very best in their preparations for their two years abroad. And thank you to Ken for his significant contributions to Midpen in the past, in the present and in the years to come. Ken will no doubt find interesting subjects for the camera in Russia as he did from Germany ten years ago, and with electronic file sharing what it is, is it unreasonable to expect more episodes of �Ken Allen Presents� in 2017? Learn more about Ken at http://www.kenallen.tv/.